From the director of 'MANIAC' and the forthcoming 'AMITYVILLE: THE AWAKENING' Franck Khalfoun and the producer of 'IT FOLLOWS', comes a fresh and thrilling new horror 'i-LIVED' which makes its UK DVD debut thanks to Second Sight, alongside a digital release. 20-something Josh’s life is a mess, recently single and struggling to pay his rent, he’s trying to forge a career as an online app reviewer. His latest assignment is a new self-help app called ‘I-Lived’. Simply tell it what you want to achieve and it will give you the steps you must complete to reach your goals. As Josh follows the app’s instructions he begins to see his life turn around. But as his wishes escalate, the tasks he is set take a sinister and ultimately horrific turn. For the life you’ve always dreamed of sign up to i-Lived, but be careful what you wish for. 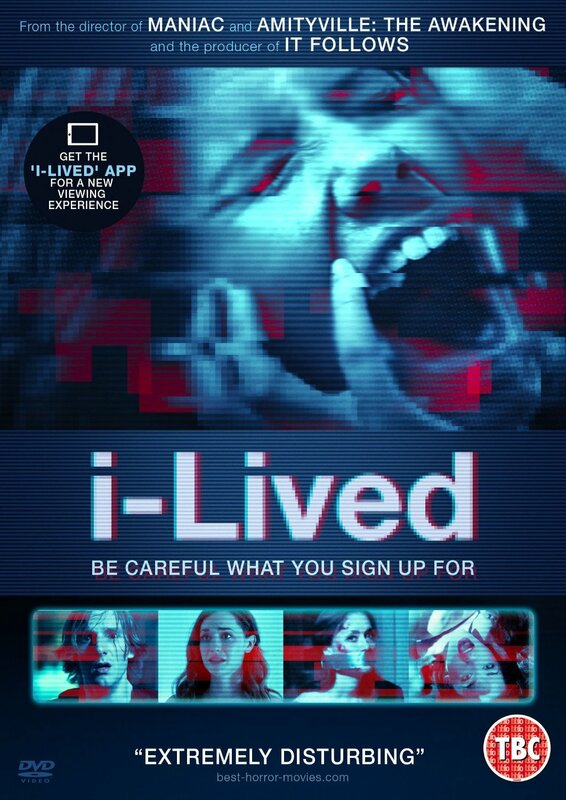 i-Lived will be available as download to own from 27 June, on-demand 4 July and on DVD 11 July. The i-Lived app is also available from iTunes and Google. It’s a new way to watch a film and syncs with the film. Play on any device and the app will listen to the soundtrack and send timed message, videos and clues throughout the film. The i-Lived app creates a full immersive experience using speakers, flashlight and vibrations.